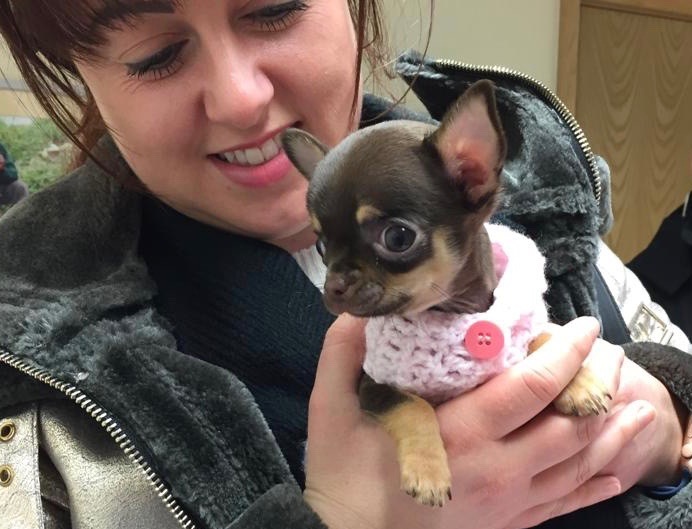 This is 9 week old chihuahua Willow who came in to see us yesterday for her first vaccination appointment all dressed up to protect against the snow. This little jacket was knitted for Willow by her Grandma, as Willow is so tiny her mum couldn’t find a small enough coat to fit! It makes her look even more adorable! We love it!